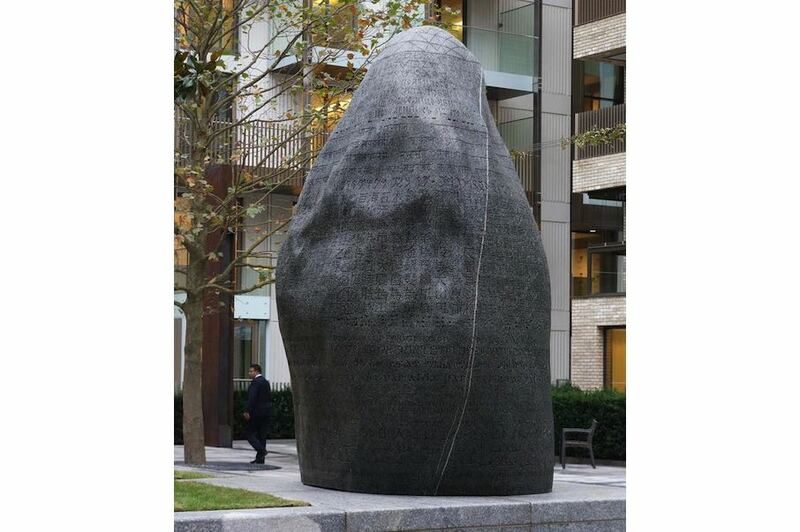 ‘The One and the Many’ by Peter Randall-Page at the new Fitzroy Place development in Fitzrovia. Image courtesy Peter Randall-Page, Exemplar and Aviva Investors. LONDON — It is not every new year that one looks back over the previous 12 months to see potentially game-changing developments in the international art market. However, 2015 seems to have been one of those years. Sadly, but perhaps unsurprisingly given the relative laxity of market regulation, it is chiefly in the realm of professional practice that some of the most significant events have occurred and which may a difference in 2016. The Knoedler-Rosales art forgery lawsuit, which is about to reach court in the U.S., has also had an impact in London, which happens to be the headquarters of one of the art world’s most prestigious forensic science laboratories — Art Access Research. 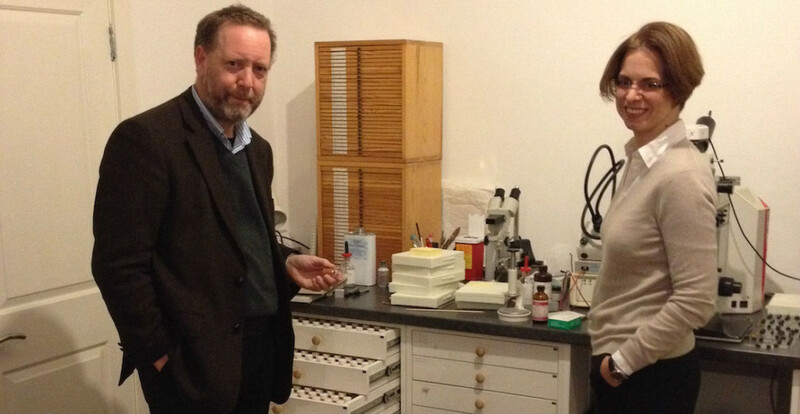 The company is run by Dr. Nick Eastaugh and his colleague, Dr. Jilleen Nadolny, (below), whose combined expertise in “technical art history” (blending traditional connoisseurship techniques with forensic science and pigment analysis) has made them two of the most sought-after specialists in the rapidly changing art market. The outcome of the Knoedler case could have a deep impact on the art trade’s approach to due diligence. More broadly, with prices rising ever higher and lawsuits proliferating, it is a fair bet that forensic analysis will be a pattern for the future. On another tangent, the high-profile wrangle between Freeport entrepreneur Yves Bouvier and Russian oligarch and art collector Dmitry Rybolovlev is also inching toward the courtroom. That could be another precedent-setting event, throwing light on the often informal relationships that exist between art advisers and high net worth collectors. Will 2016 see a more thorough reappraisal of the role of art advisers? Another widely reported development this year was the marked decline in the Russian art market, the center of which, it is now commonly acknowledged, has long been located in London. This perhaps endorses another historical truism — that geopolitical developments can often have a profound impact on the art market’s subcategories. Will this year’s results turn out to be merely a blip in the Russian market or part of a deeper descending curve? As for the Internet, it is clear from the evidence, both research-based and anecdotal, that live bidding technology is making ever deeper inroads into the traditional auction environment. The past 12 months saw that trend continue. London Eye wandered into Sotheby’s New Bond Street rooms just before Christmas to find a specialist book sale taking pace. Some 64 chairs had been laid out for the sale, but just one seat was occupied. All the bids were coming either from the bank of telephones or via the Internet. You could almost hear the tumbleweed blowing through the room (below). How times have changed. 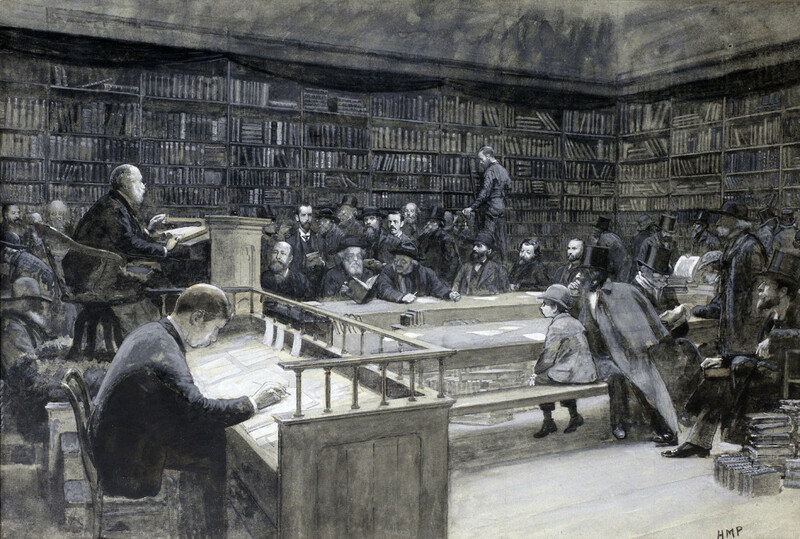 A surviving image of a book auction at Messrs Sotheby, Wilkinson & Hodge in the Strand in 1888 shows a room chock-full of mainly bearded, top-hatted gentlemen listening avidly to the auctioneer, Sotheby’s chairman E.G. Hodge, with leading antiquarian book dealer Bernard Quaritch in attendance (below). 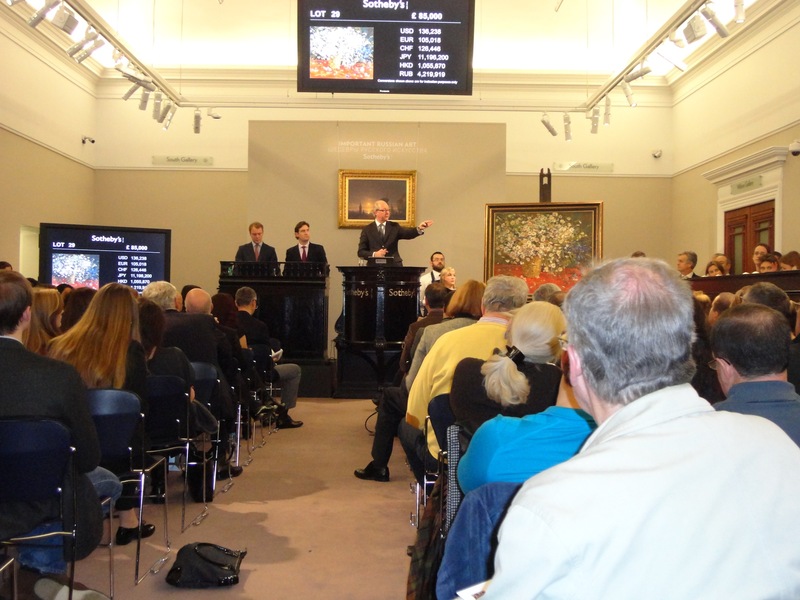 How long will the major auction houses continue to support these minor categories in their traditional format, one wonders? One category of the market that is guaranteed to continue drawing the crowds is contemporary art. Damien Hirst is no doubt still drawing the occasional sigh of relief that his groundbreaking sale at Sotheby’s in October 2008 took place just in the nick of time before the market vaporized later that same day with the collapse of Lehman Brothers. 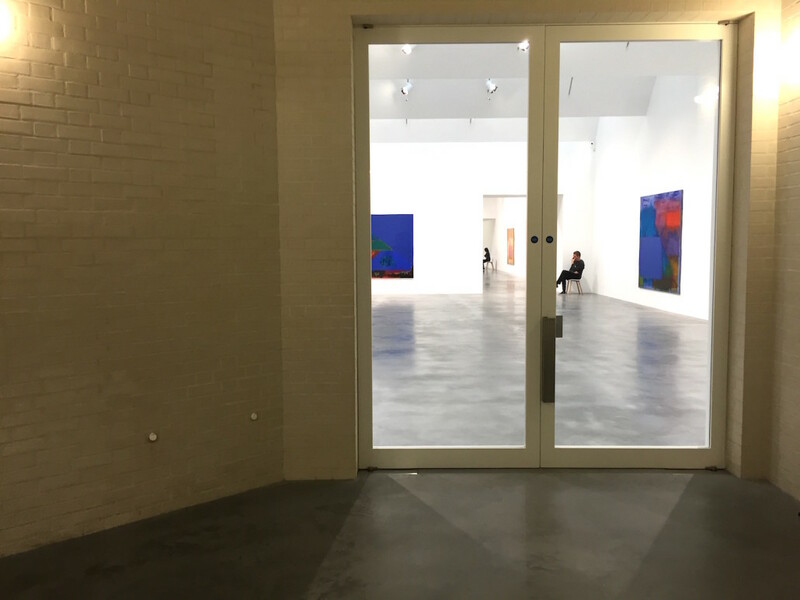 Hirst’s spanking new 37,000-square-foot gallery recently opened — with little fanfare — near Lambeth Embankment in south London (below). 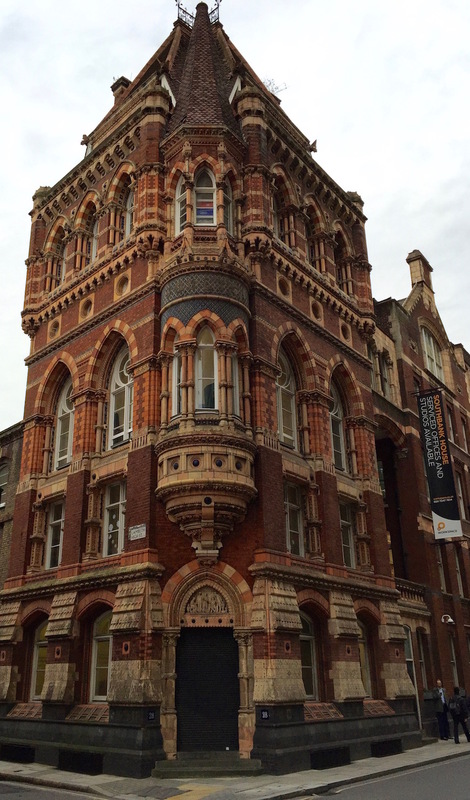 The beautiful new £25 million building, by star architects Caruso St John, is located just a stone’s throw from the old Doulton Lambeth pottery works which retains much of its original stoneware tiling (below). Although officially called the Newport Street Gallery, the brick exterior of the Hirst gallery also carries another Hirst brand name — “Pharmacy 2” — signaling the imminent arrival of a new restaurant. The pharmacy name is ironically appropriate given the building’s proximity to Lambeth White Hart Dock, the site of one of the worst cholera epidemics of the mid-19th century, which claimed the lives of almost 2,000 people. Hirst is perhaps best known for his “sculpture” and although he is often several times removed from the processes of fabrication he can nevertheless be credited with helping to reinvigorate public interest in sculpture in recent years. Britain is arguably a world leader in sculpture in both its traditional and more cutting-edge manifestations. Peter Randall-Page is another British artist who has steadily carved a global reputation for his sculpture in natural materials. Unlike Damien Hirst, however, Randall-Page is extremely “hands-on” in his approach. 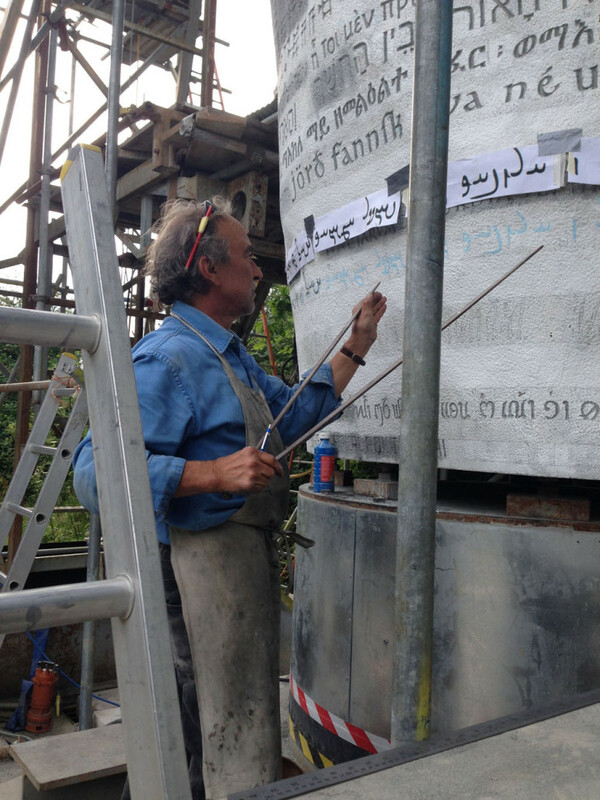 His most recent commission is a 24-ton partially eroded granite boulder, which he and his assistants have meticulously inscribed with pictograms, various forms of calligraphy, hieroglyphs and other ancient script originating in a range of world cultures from Babylon to Mongolia. Titled The One and the Many, it is typical of Randall-Page’s elegant blending of the chthonic and the contemporary. 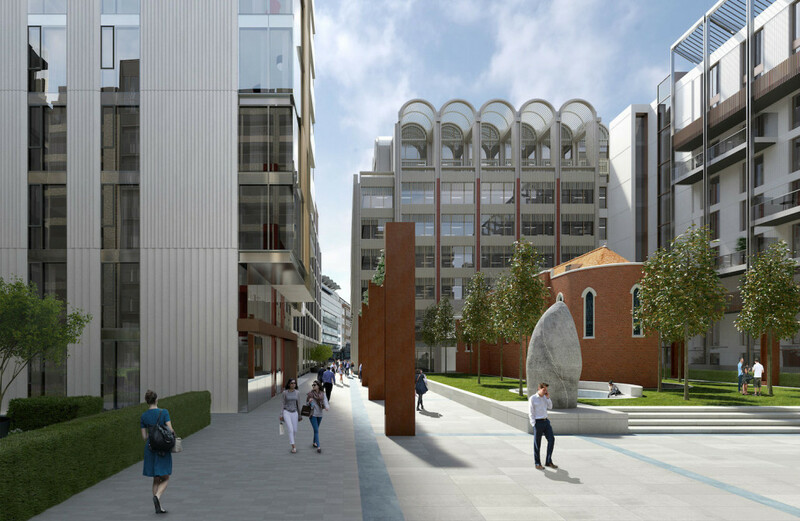 Its new home is Fitzroy Place in London’s blossoming cultural and commercial Fitzrovia district where it will add a natural, muscular counterpart to the postmodern architecture occupied by the likes of Estée Lauder and other luxury brands. 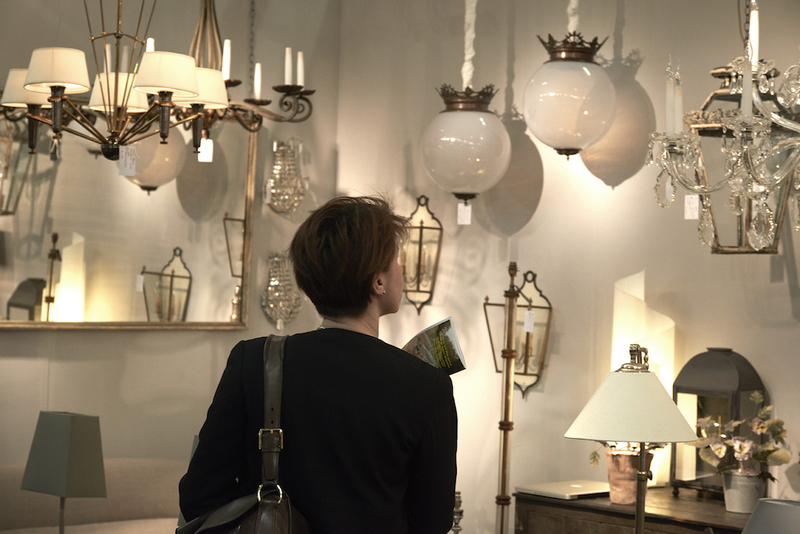 Always a popular event with the general public as well as the trade, the Decorative Fair’s three installments in winter, spring and autumn offer a wealth of creative ideas for home decoration, which continues to be an abiding obsession among the middle classes. All we need now is for an end to the biblical flooding that has tormented the north of England in recent weeks. The appalling deluges have done nothing to combat the growing sense of an increasingly divided “united” kingdom — separating the inundated and economically struggling north from the relatively dry and increasingly prosperous south. Given the transport disruptions resulting from the recent floods, art and antiques fair directors will no doubt be watching developments with interest and planning their 2016 diaries accordingly. Roll on summer. LONDON — Considering the many successful collaborations between the great modernist painters and sculptors and their counterparts in modernist music it’s a wonder that our museums and galleries don’t do more to bring the two art forms together in the gallery space. 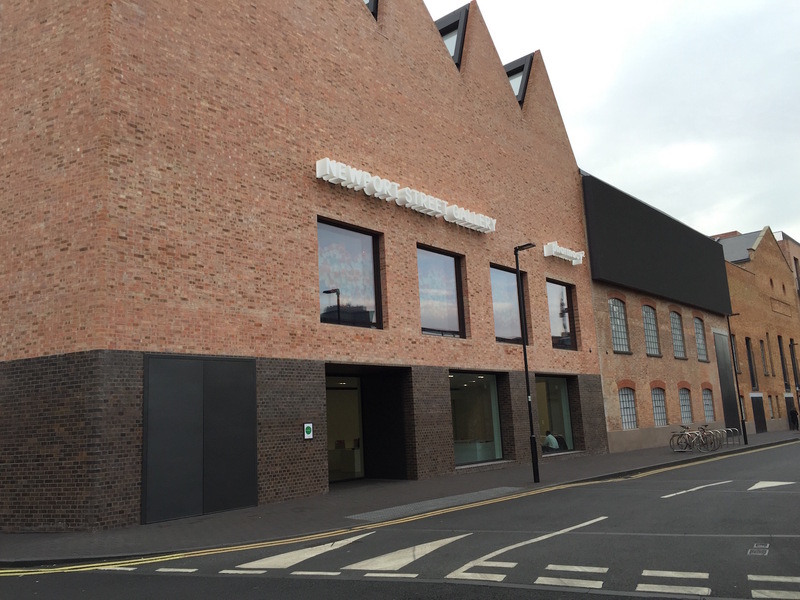 Clearly there are logistical difficulties to be overcome, but as London’s Tate Modern recently demonstrated, the results can be intriguing, if occasionally somewhat challenging to the ear. LONDON — Culture and politics seldom make easy bedfellows and diplomacy cannot always intervene to improve the relationship. At least that was one message emerging from the recent visit to London by the president of the People’s Republic of China, Xi Jinping. 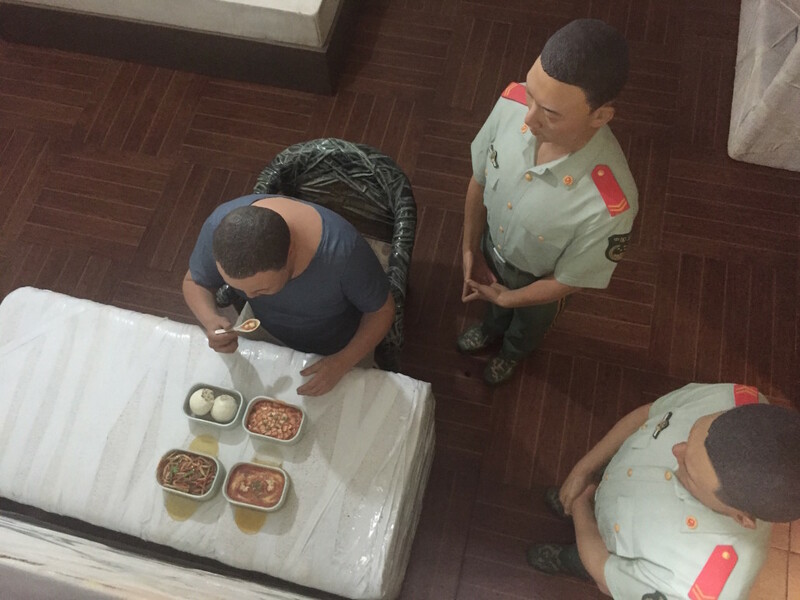 It was business that topped the diplomatic agenda as the president was steered from boardroom to banqueting table, with the thorny topic of contemporary art pushed to the margins. Rotterdam-based Chinese artist Zhuang Hong Yi in his studio, preparing for his first exhibition at UNIT London in Soho. Image courtesy of UNIT London. 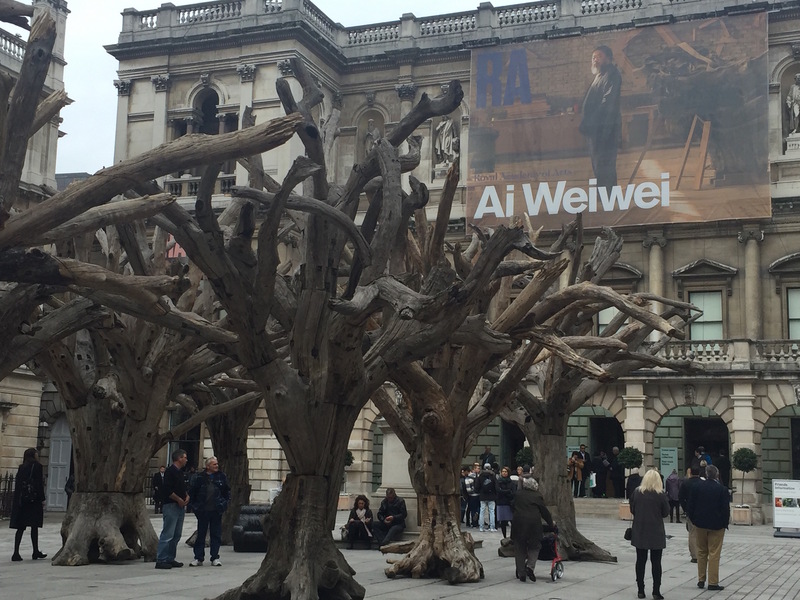 LONDON — Is the art market sufficiently regulated? It is a question that crops up with increasing frequency as prices rise to unprecedented levels and as reports of unethical business practices leak into mainstream media. Some commentators argue that fraud, money-laundering, insider-trading and a generalized lack of transparency are becoming endemic in the art market. This rare Cook’s Island chieftain’s stool, circa 1820-1860, will be offered by Kapil Jariwala Gallery at £7,500 ($11,700) at the Tribal Art Fair at the Mall Galleries, Sept. 2-5. Image courtesy of the London Tribal Art Fair. 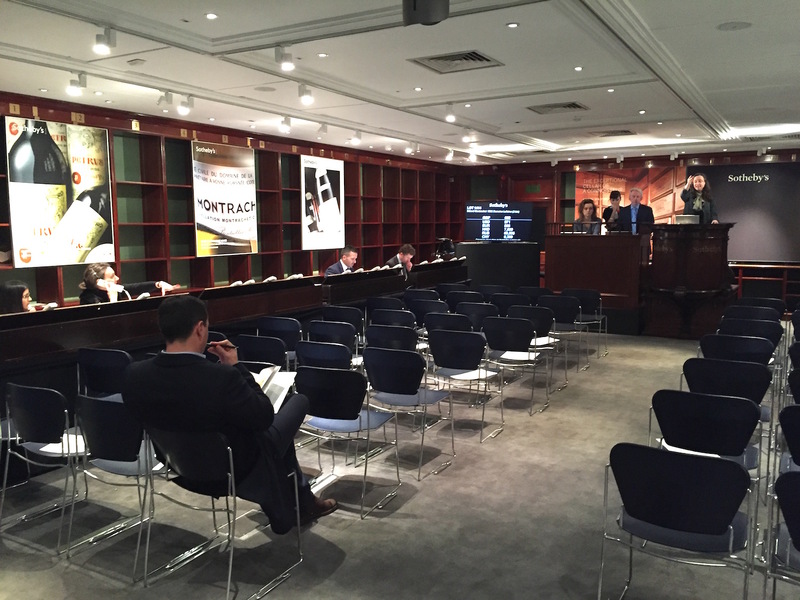 LONDON – A few months ago Auction Central News enjoyed a guided tour of Bonhams’ spanking new auction rooms on London’s New Bond Street, and we were duly impressed. This imposing bronze peacock by the English sculptor Gertrude Hermes was priced at £95,000 ($149,350) on the stand of London-based Modern British dealers Osborne Samuel at the Masterpiece fair. Image Auction Central News. LONDON — Some art market research companies would have us believe that the heyday of art fairs is over and that the so-called “event-driven” marketplace is on the wane. It only requires an hour or two walking around London’s most prestigious art fairs during an unseasonably warm June to dispel such gloomy prognostications. Detail of Alberto Giacometti’s ‘L’homme au doigt’ (Pointing Man), which established a new record for the artist at Christie’s, New York on May 11 selling for $141.2 million (£91.4 million). Image courtesy Christie’s. El Anatsui, winner of the prestigious Venice Biennale Golden Lion Award 2015, in front of the Royal Academy of Arts, London. Photo © Jonathan Greet. Image courtesy October Gallery, London. LONDON — It is 2015 and so once again it is almost time to head to Venice for the 56th edition of the Venice Biennale. A welcome piece of pre-Biennale news was the announcement that the Ghanaian contemporary artist El Anatsui is to receive the Golden Lion for Lifetime Achievement Award. This is good news for El Anatsui, but it is also welcome news for London’s October Gallery, which has represented El in London for many years. The October Gallery is known for its support of what one might loosely call “World Art,” or what the gallery terms the “Transvangarde,” the trans-cultural avant garde. El Anatsui’s creations are a fine example of work in this category. Okwui Enwezor, the curator of this year’s Venice Biennale (the 56th), said of the award: “El Anatsui is perhaps the most significant living African artist working on the continent today. The award for which I am recommending him is an important honor to an artist who has contributed immensely to the recognition of contemporary African artists in the global arena.” Few would disagree with that. What makes El Anatsui’s work so extraordinary is his ability to repurpose the detritus of the urban world into beautiful objects. The art market, through its own immutable logic, has repurposed them again, by turning them luxury commodities. His gorgeous, lustrous wall hangings are actually made from discarded aluminum bottle tops flattened out. When shown at swanky art fairs they tend to stop people in their tracks and are in huge demand when they appear at high-end auctions. One example, titled Path to the Okra Farm, sold at Sotheby’s in New York this time last year for $1.4 million (£860,580). And so to more mundane matters. With the UK general election just days away (May 7), the British public is currently suspended between weary indifference toward the political classes and genuine concern as to how long the recession will continue. Nightly news bulletins and opinion polls confirm the deep disillusionment felt by many UK nationals about the state of the economy and the prospect of further cuts ahead. Into this feverish climate and with impeccable timing, the Sunday Times chose to publish its annual “Rich List,” which revealed the extent to which the country’s wealthiest individuals have grown even wealthier, despite the recession. The report confirmed that the rich more than doubled their wealth over the last decade. While this may generate even more resentment and envy among those who struggle to make ends meet, it will be greeted with open arms by the artists, dealers, auctioneers and advisers whose job it is to supply luxury goods to the super-rich. One of the most celebrated of these suppliers, and now a fabulously wealthy individual in his own right, is the American artist Jeff Koons, a survey of whose work opens this coming month at Norwich Castle Museum and Art Gallery as part of the touring “Artist Room” series. Quite what the gentlefolk of Norfolk will make of Koons’s various creations remains to be seen. For example, vacuum cleaners are only too familiar to the thousands of men and women who push them around on a daily basis in return for the minimum wage, but it’s doubtful they’ll ever have encountered three Hoovers in a glass case in an art gallery. However, these aren’t just Hoovers, they’re works of art that would have an eye-watering price tag were they to appear under an auctioneer’s gavel. Jeff Koons, ‘New Hoover Convertibles, Green, Red, Brown, New Shelton Wet/Dry 10 Gallon Displaced Doubledecker, 1981-7,’ Artist Rooms, Tate and National Galleries of Scotland. Acquired jointly through The d’Offay Donation with assistance from the National Heritage Memorial Fund and the Art Fund 2008, © Jeff Koons. Image courtesy Norwich Castle Museum and Art Gallery. One example fetched $11.8 million (£6 million) at Christie’s New York in 2008. However, that price information is unlikely to be made public in the Norwich show, which aims to present Koons not as a manufacturer of expensive luxury goods for the world’s super-rich, but as an artist and innovator. Jeff Koons, Mound of Flowers, 1991, Artist Rooms, Tate and National Galleries of Scotland. Acquired jointly through The d’Offay Donation with assistance from the National Heritage Memorial Fund and the Art Fund 2008, © Jeff Koons. Image courtesy Norwich Castle Museum and Art Gallery. We look forward to the local Norwich press reviews. By way of sharp contrast, moviegoers may remember a few of the wonderful locations used in Mike Leigh’s recent film, Mr. Turner, about the great 19th century English landscape painter J.M.W. Turner. One of the film’s most memorable locations was Petworth House in West Sussex. Still occupied by the current Lord and Lady Egremont, whose family has owned the property since the time of Henry I (1068-1135), Petworth House and Park are now administered by the National Trust and are a popular destination for tourists with a hunger for classic British heritage. Petworth House & Park, the location of a new fine art and antiques fair on May 8-10. Photo Martin Offer. Image courtesy the Antiques Dealers’ Fair Ltd. Given all this background, it is not surprising that the park has been selected as the location for a new fine art and antiques fair opening on May 10. It will be held in a marquee in the 700-acre deer park, which surrounds the late 17th century Grade 1 listed mansion in the quaint Sussex town of Petworth. Unsurprisingly, given the venue, the event has attracted some of the most prestigious dealers and so visitors will be treated to a mouth-watering array across all categories. Among the things that caught our eye was Edward Seago’s atmospheric, summery oil entitled On the Dunes, on show with Haynes Fine Art of Broadway, priced at £100,000-£150,000 ($152,000-$228,000). This oil on canvas titled ‘On the Dunes’ by Edward Brian Seago, is priced at £100,000-£150,000 ($152,000-$228,000) with Haynes Fine Art of Broadway at the new Petworth Park Antiques and Fine Art Fair from 8-10 May. Image courtesy Haynes Fine Art and the Antiques Dealers’ Fair Ltd.
A smart Regency brass-inlaid sofa table marked £9,500 ($14,450) is among Freshfords Fine Antiques’ offerings. An English Regency brass-inlaid sofa table, circa 1815, priced at £9,500 ($14,450) on display with Freshfords Fine Antiques at the new Petworth Park Antiques and Fine Art Fair from May 8-10. Image courtesy Freshfords Fine Antiques and the Antiques Dealers’ Fair Ltd.
A piece of contemporary garden sculpture titled Joie de Vivre, by Penny Hardy, is to be shown by local pioneering contemporary art and sculpture dealers Moncrieff Bray Gallery and is priced at £1,500 ($2,275). Among the contemporary works at the new Petworth Park Antiques and Fine Art Fair this month will be this outdoor sculpture by Penny Hardy titled ‘Joie de Vivre,’ to be shown by local West Sussex art dealers Moncrieff Bray Gallery, priced at £1,500 ($2,275). If the weather stays fine, this could turn out to be one of the most popular fairs of the summer, although it will have some way to go to compete with this year’s Masterpiece Fair in London at the end of June. Watch this space for news of that. And finally, a brief note about an interesting event opening at Bowman Sculpture in Mayfair this month. This is an exhibition of work by the current doyenne of traditional British sculpture, Helaine Blumenfeld, which will be shown alongside selected works by the late, great Henry Moore. The interior of the Alex Rosenberg Gallery in 1985, showing works by Henry Moore and Helaine Blumenfeld. London sculpture dealer Robert Bowman will restage that dialogue at his gallery in Duke Street, St. James from May 22 to June 30. Image courtesy Helaine Blumenfeld and Bowman Sculpture. The show celebrates and restages an innovative exhibition held at the Alex Rosenberg Gallery in New York in 1985 where the two artists’ works entered into a silent “dialogue.” American-born Blumenfeld has arguably become the most significant British sculptor working in the time-honored techniques of marble carving, which she practices in her studios in Pietrasanta, Tuscany (a set of skills entirely alien to the Koons generation). However, her smaller-scale bronzes are also in many public and private collections around the world. It will be fascinating to see the extent to which her sculptural “voice” has developed in the 30 years since the New York dialogue. This work in Roman travertine, titled ‘Seascape,’ by Helaine Blumenfeld, will be shown at Bowman Sculpture in Duke Street from May 22 to June 30 where it will be among a number of works by Blumenfeld ‘in dialogue’ with works by Henry Moore. Image Auction Central News and courtesy Helaine Blumenfeld. The exhibition, which coincides with a new large-scale work by Blumenfeld being installed in London’s Berkeley Square, runs at Bowman Sculpture May 22 to June 30. LONDON — Here the main political parties have begun the breathless sprint towards voting day for the general election on May 7. Never before has the likely outcome been so unpredictable, nor induced so many yawns from the public. Meanwhile, British summer time has officially begun. Daffodils line the roadside and the trees are brimful of blossom. This would normally put a spring in one’s step, but the unsavory prospect of the looming general election tends to take the shine off things. On the upside, those of us fortunate enough to have attended this year’s installment of the European Fine Art Fair (TEFAF) in Maastricht, were treated to another intoxicating taste of available fine and decorative art. This brightened the month of March considerably, despite us being unable to make the purchases our hearts desired. Still, the entrance foyer looked stunning and as usual the fair provided another stimulating, if exhausting, visual treat. Perhaps unsurprisingly, given the wealth that descends on Maastricht for TEFAF week, the organizers have been celebrating another successful year. This rather chimes with the latest findings of their annual research report, which indicated that the art market is blooming like the Dutch tulips that adorn the fair. The art market blossoms: The aisles of the European Fine Art Fair in Maastricht were once again blooming with traditional tulips at this year’s event. Image Auction Central News. Prior to the 2008 global credit crunch, the TEFAF report was registering annual global revenues of around 47 billion euros. It is often said that when a recession strikes, the art market feels the pinch later than other asset classes and rebounds sooner. That would seem to have been confirmed by this year’s report, which shows that while most European economies are languishing in the financial doldrums and the majority of working families are struggling to stay afloat, the art market has again taken flight. Its global revenues now stand at 51 billion euros, the highest ever recorded total. This might come as good news to those who see the art market as a foretaste of an imminent, broader economic recovery. Wiser minds know that it is little more than confirmation of how the rich continue to get richer, despite the economic crisis. One does not have to be at TEFAF for long to get a sense of how seriously the trade takes these events, some claiming to do up to 50 percent of their annual business during the 10 days of the fair. The stand of Munich dealers Röbbig offered the clearest indication of how some dealers regard it as no longer enough to simply bring the stock. It also has to be shown within a convincing recreation of the interior of a Parisian aristocrat’s ancien régime hôtel, or the palace of some minor Hapsburg prince. The elaborate stand of Munich dealers R öbbig at the European Fine Art Fair in Maastricht. Image Auction Central News. The TEFAF fair traditionally has one or two blue-chip works of art in the Old Master category, but this year it seemed notably short on true masterpieces. It was, however, packed with antiquities of one kind or another, a worrying development given the widespread looting of ancient sites across the Middle East and developing world. We spotted a Cambodian statuette with no provenance to the label, a surprising omission at a fair as prestigious as Maastricht, particularly given how Cambodian temple sites are still being ravaged by subsistence looters. (Fig. 4) One assumes that this particular object has a legitimate provenance, even if it wasn’t clearly displayed as one might expect. This 10th-century Cambodian statuette of a devi or goddess, from Pre-Rup in Angkor, was one of numerous antiquities on sale at the European Fine Art Fair in Maastricht in March. Image Auction Central News. Should we take comfort from the fact that TEFAF is strictly vetted? Well, it has just emerged that a painting recently identified as having been looted by the Nazis from a Viennese family in 1944 was offered for sale at TEFAF just a few years ago. An enquiry to TEFAF’s organizers as to how this might have happened is yet to receive a response. ‘Portrait of a Gentleman’ by El Greco, shown a few years ago at the European Fine Art Fair, and subsequently found to have been looted from a Viennese family by the Gestapo. It has now been restituted to the heirs of its original owner. Image courtesy the Commission for Looted Art in Europe and Art Recovery International. The picture, Portrait of a Gentleman by El Greco, was seized by the Gestapo in 1944 from the noted Viennese industrialist Julius Priester, along with the entire Priester family collection. The portrait has now been restituted to the descendants of Julius Priester by the Commission for Looted Art In Europe working with Art Recovery International, the new London-based due diligence service for the international art trade. Before moving on to a few other interesting events in the UK in the coming month, a brief mention of one or two of the more striking objects at the TEFAF fair. London and New York dealers Mallett have been enjoying a significant resurgence of good fortune over the past couple of years, seemingly since moving to their new premises at Ely House, Mayfair. Their TEFAF stand looked terrific, combining traditional furniture and works of art with a few selected works of modern design. These included a “Fig-Leaf” wardrobe by Dutch designer Tord Boontje, although the term wardrobe doesn’t really do it justice as the accompanying image shown here makes clear. ‘Fig-Leaf,’ a bronze and enameled wardobe by Dutch designer Tord Boontje, featured on the stand of London and New York dealers Mallett at the European Fine Art Fair in Maastricht. Image courtesy of Mallett and Tord Boontje. Fans of C.S. Lewis’ The Lion, the Witch and the Wardrobe might have nightmares with this in the room, but instead of opening onto Mr. Tumnus, a tree-form coat-hanger appears. Every leaf of the doors has been individually designed and enameled, making it a classic example of what is now being described as “meta-luxury.” Its innovative design and exquisite craftsmanship amply justified its price tag, which good manners (and the fact that it had sold) prevents us from disclosing. The open interior of Tord Boontje’s bronze and enameled ‘Fig-Leaf’ wardobe, with Mallett at the European Fine Art Fair in Maastricht in March. Image courtesy of Mallet and Tord Boontje. 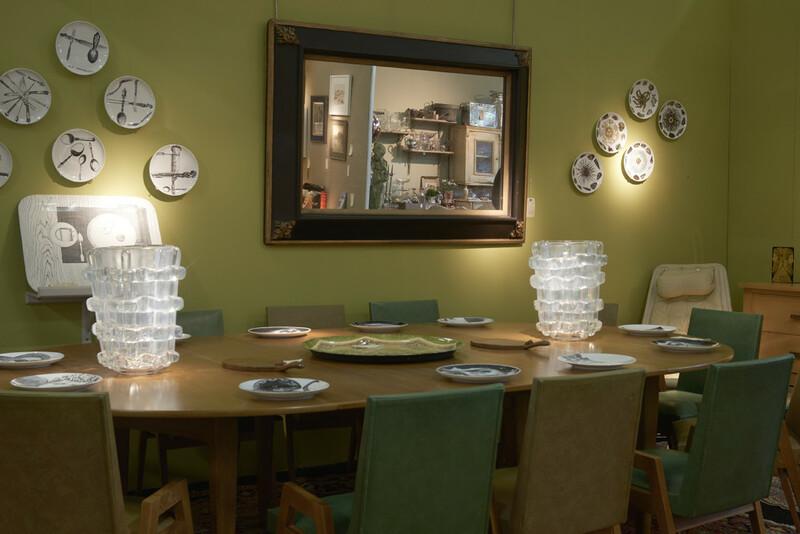 Elsewhere Parisian dealer François Laffanour’s Galerie Downtown had teamed up with top-drawer art adviser and consultant Philippe Ségalot to present a superb display titled “Masterpieces of Shaker Design. Star” of the stand was a birch trestle table by a Massachusetts maker dating from 1840. It was long enough to accommodate the entire cast of Amish barn-builders from Harrison Ford’s Witness movie and yet it was constructed from a single plank of a noble birch tree. A shaker birch trestle table, Massachusetts, circa 1840, on the stand of François Laffanour’s Galerie Downtown at the European Fine Art Fair in Maastricht in March, where it was priced at 250,000-300,000 euros ($270,000-$323,000). Image Auction Central News. Priced at 250,000-300,000 euros ($270,000-$323,000), it had been reserved for a client, demonstrating, like the wardrobe mentioned above, that objects of extraordinary rarity in any category are likely to find buyers. By now, most people will be suffering from a surfeit of fairs news but on a more local and affordable level it is worth casting a brief glance toward the Cotswolds Art and Antiques Dealers’ Fair, which opens on April 16 until April 19 at the famous Blenheim Palace in Woodstock, Oxfordshire. Now in its fourth year, the fair will host 24 exhibitors, all members of the Cotswolds Art and Antiques Dealers Association, so it comes with a stamp of quality. We have been alerted to far too many objects appearing at the fair to mention them all here, but we were struck by a splendid papier-mâché tea caddy decorated with a scene of cattle in a landscape by Henry Clay, circa 1800. It is priced at 5,500 pounds ($8,150) from Hampton Antiques, while Catherine Hunt Oriental Ceramics will no doubt be hoping for Asian interest in a transitional double gourd blue and white bottle vase priced at 13,500 pounds. This charming painted papier-mâché tea caddy is priced at 5,500 pounds ($8,150) with Hamptons Antiques at the Cotswolds Art and Antiques Dealers’ Fair at Blenheim Palace. Image courtesy of Cotswolds Art and Antiques Dealers’ Fair. Catherine Hunt Oriental Ceramics will be showing this Chinese transitional double-gourd bottle vase at the Cotswolds Art and Antiques Dealers’ Fair, where it is priced at 13,500 pounds ($20,000). Image courtesy of Cotswolds Art and Antiques Dealers’ Fair. Finally, the ever-reliable Jerram Gallery in Sherborne, Dorset, is about to stage a mixed exhibition of new landscapes and still lifes by Charles Jamieson, Elsa Taylor and Vivienne Williams, which opens on April 11 until April 29. Charles Jamieson, ‘Yellow Field,’ oil on board, to be included in the Jerram Gallery’s group show of landscapes and still lifes in Sherborne, Dorset. Image courtesy of Jerram Gallery. Vivienne Williams, ‘Kitchen Still Life with Lemons and Beans,’ mixed media, at the Jerram Gallery’s group exhibition in Sherborne, Dorset. Image courtesy of Jerram Gallery. Elsa Taylor, ‘Fishing Huts II,’ oil on board, included in the Jerram Gallery’s group exhibition in Sherborne, Dorset. Image courtesy of Jerram Gallery. Exhibitions like this are a welcome reminder that the so-called “art market” comprises not only the high-ticket masterworks that so preoccupy the wealth-obsessed media, but also includes affordable work shown by regional galleries keen to support local artists and to serve the many less well-heeled, but no less passionate, collectors. Next month we’ll be previewing an exhibition of works by Jeff Koons in, of all places, Norwich. Quite what the gentle folk of East Anglia will make of Jeff’s ironic take on popular culture remains to be seen.